For over 30 years, BD has supported the work of clinical researchers who have made significant contributions to the advancement of clinical medicine. 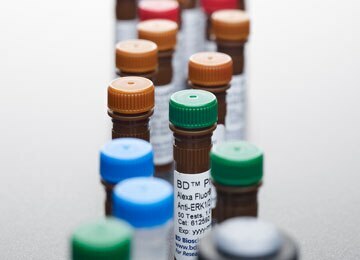 Continuing its long-standing commitment, today BD Biosciences instruments and reagent products support a range of efforts to better understand the complexities of the human immune system in healthy and disease states and ultimately progress the standards of human care. Featuring tools to support oncology research, cellular immunity and infectious disease research, autoimmunity research, and transplantation research. Reagents to support clinical research on the human immune system and advance the standards of human care.